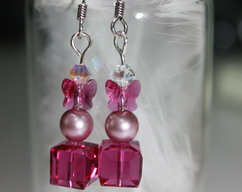 Special offer: free shipping and receive three organza jewellery gift bags with every purchase. 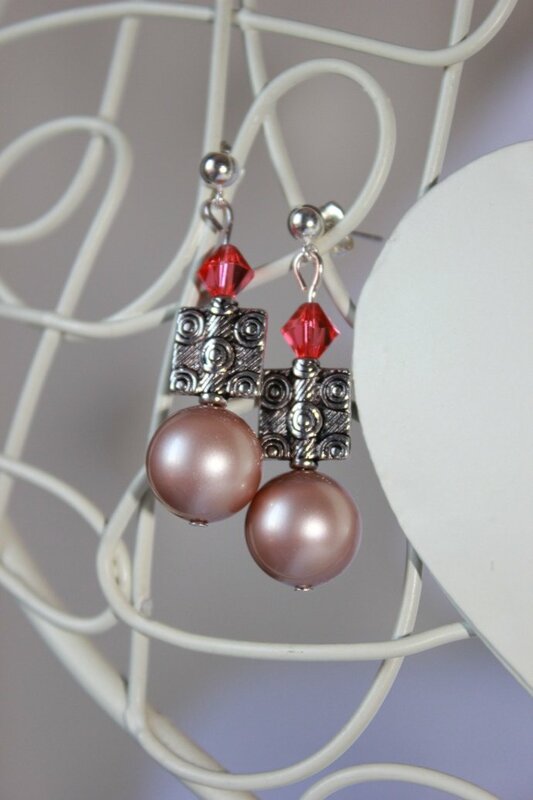 These earrings each have a delicate champagne coloured glass pearl and a glass crystal in a coral shade (all pearl and crystal elements are Swarovski glass). The ear wires are sterling silver. 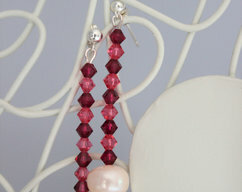 These pearl earrings are lightweight and measure approx. 4cm in length including the silver findings. 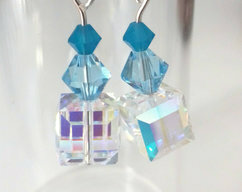 These earrings would make a lovely accessory for date night or perhaps a gift for a special friend. If you have any questions about these or any other items in my shop, just hit the contact owner button and I'll get back to you within 12 hours or less. Organza gift bags are perfect for safely storing your precious jewels so that they come to no harm. Offer valid on all orders the bags will be included with your purchase. Handmade by me (Soroco Designs) and shipped from Ireland within three days from purchase. 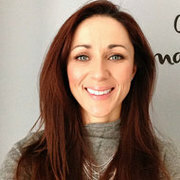 I hope you or the person you are buying for enjoy. 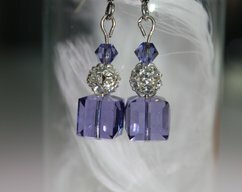 Purple crystal disco ball earrings.